Can You Pass The Brexit Tough Question Quiz? Amidst increasing chaos over Britain’s departure from the European Union, ever-tougher questions are being thrown at the politicians involved. But tough questions are also cascading on to businesses potentially affected by Brexit impasses – as you may have already noticed. It focuses on the kind of question companies are getting about whether – while the erratic Brexit roller coaster ride continues – they can provide the same goods and services in the future as they have in the past. So let’s look at a British manufacturer which assembles products from parts procured across various places inside the European Union and beyond. Suppose a customer rings up and says: “Will you be able to you continue to supply us with the same products in May, June and July this year as you’ve done in the past?”. Assuming the Brexit conditions mean that the ideal answer of “Yes certainly” is out of the question, which of the following would qualify as being a great answer in the circumstances – and why? “C”) “Unfortunately we can’t give an absolute guarantee at the moment because of the political uncertainties surrounding the imports and exports from the EU. We will be sending you regular messages to keep you updated. But what I can assure you is that we’ve been building up stockpiles of our entire range of finished products, so if you let us know as soon as you can what you’ll be needing, we are confident we will be ready to send you at least some of the products you require. And it may be possible to meet all your requirements between now and July. Hopefully choosing “C” as the best answer is a no-brainer. But the important thing is to understand WHY it’s superior to “A” and “B”. The “A” – “haven’t got a clue” answer – is the kind frequently given in this situation. While it may appear to be refreshingly honest and direct, it is flawed. This kind of answer is often given when it’s not exactly true. 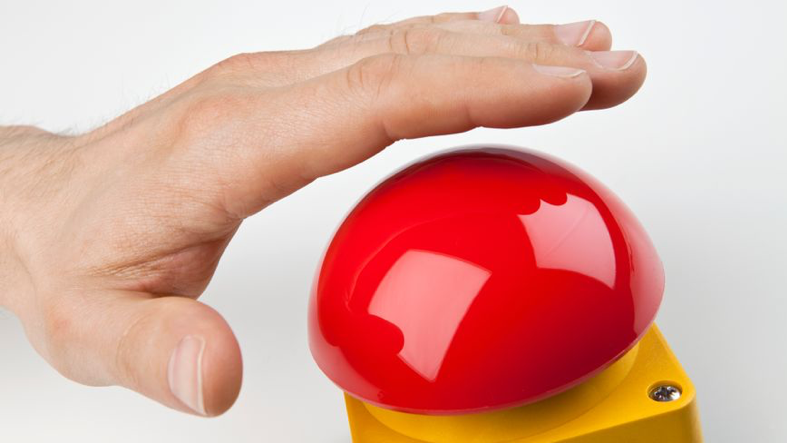 Of course most people running the manufacturing company would have some idea as to what the future supply situation might be – even if the question can’t be answered definitively. So by not giving any guidance at all, it’s a poor response. The underlying message behind the “A” reply is “We can’t be bothered to go into any details with you, so it’s easier to be completely non-committal.” This answer could immediately prompt a customer to search for an alternative, more helpful supplier. Answer “B” contains pretty much the same flaws as “A”. It’s slightly superior because it gives a reason why the respondent is unable to give a more precise answer. But nonetheless it’s not particularly helpful to the questioner and sends out a similar message to the first answer. Answer “C” is more virtuous than both the others because it’s more caring, more informative and more realistically positive. By starting with “Unfortunately” it acknowledges the legitimate concerns of the customer and is thereby touching appropriately on the emotions of the questioner. The answer also explains why a more exact response can’t be given. Importantly, the answerer in “C” is taking more responsibility for dealing with the situation and explains what the company is doing to positively address the challenge. And while not overpromising, the answer appears to give the questioner as much hope as is reasonable in the situation. At the same time the answer is giving some useful information as to what the confidence behind it is based upon. The message underpinning “C” is “We’re doing everything we can to help you – and will keep doing so – to ensure you get the products you need despite the challenges.” This answer is shifting the conversation to the potential win-win point between the asker and answerer. It switches the discussion of a potential negative to a potential positive. The answer could even result in a series of sales being made even earlier than would otherwise be the case! 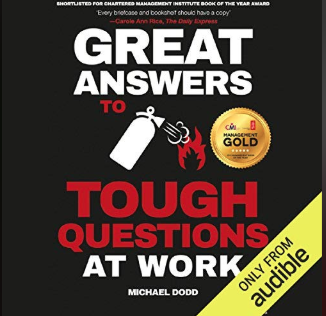 This exercise seeks to illustrate there’s multiple elements which you need to get right in order to give a great answer to even a simple question in times of uncertainty. The good news is that giving great answers amidst chaos is a learnable skill. When you are familiar with the methodology, you can plan, prepare and practise to be ready for tough questions in times of uncertainty in master classes or one-to-one sessions. 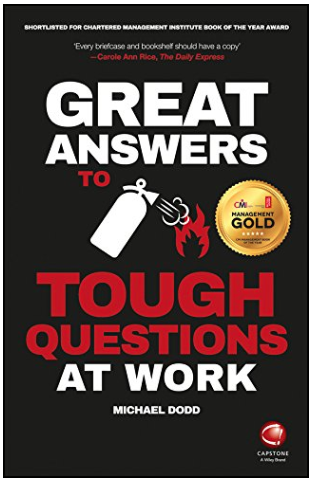 And a keynote presentation entitled “Give Great Company Answers In Times Of Uncertainty” can be given at your conference or away day to show your team the methodology behind impressive responses to tough questions in challenging times. There’s a book that introduces you to the secrets behind great answers. And you even can have the methodology explained to you verbally from your phone in what some might describe as a “charming-yet-sophisticated-southern-hemisphere accent” in this audiobook version. Careful planning, preparing and practise isn’t just required for great answers. It also applies to a situation when making a prepared statement on behalf of yourself or your company. 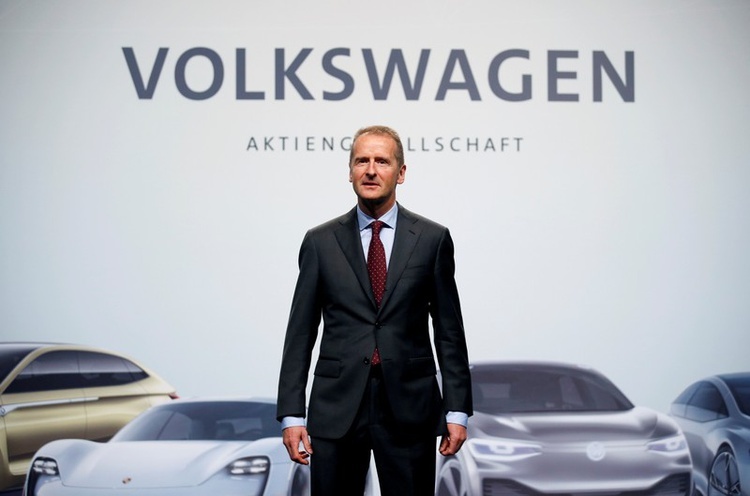 By not doing this properly before an internal event, Herbert Diess, the Chief Executive of the German car-maker, Volkswagen, has just plunged himself and his company into pit of outraged emotion. Herr Diess caused widespread offence by making an utterance which borrowed key emotive words from the infamous Nazi slogan “Arbeit Macht Frei”. 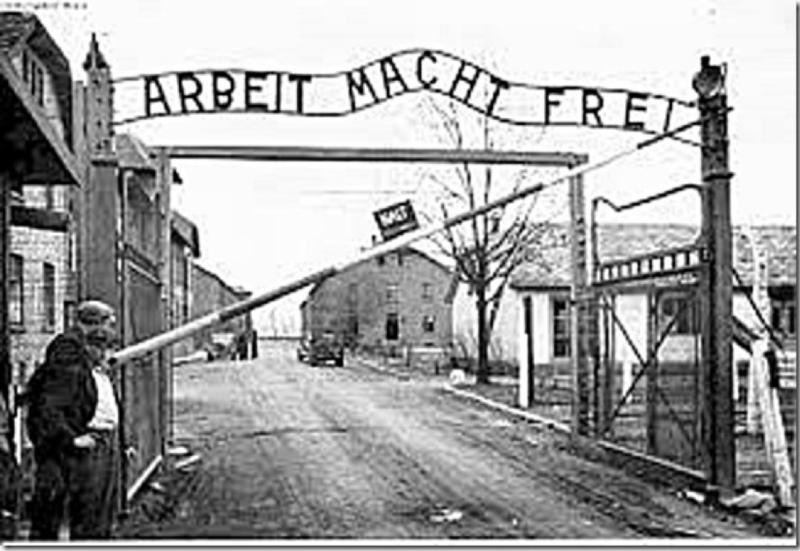 The slogan – meaning “Work sets you free” – infamously appeared on wrought-iron gates above the entrance to the Auschwitz concentration camp, and some others. Beyond this, there was a particular reason for the VW boss to tread far more carefully on Nazi-related matters than he managed. This is because Volkswagen has such strong historical connections to the Nazi leader Adolf Hitler. The founding of Volkswagen in 1937 was part of Hitler’s vision to enable German families to acquire a car. And during World War Two the firm made vehicles for the German military, exploiting thousands of slave labourers from the concentration camps. 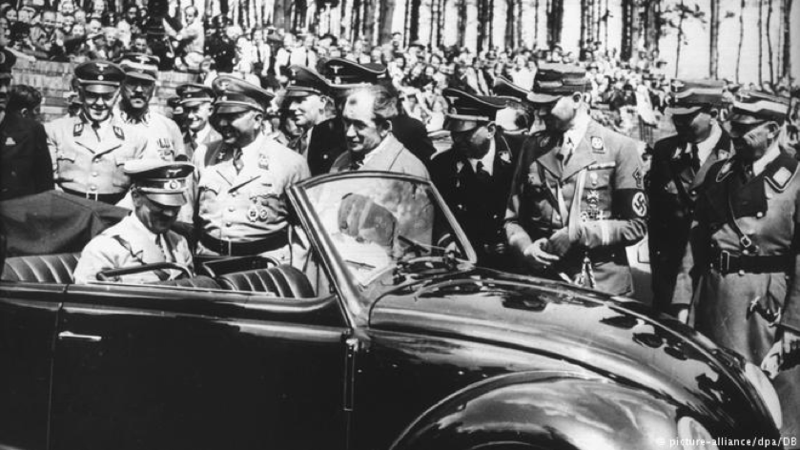 Hitler’s enthusiasm for Volkswagen led to the staging of photos such as this one below with the dictator being driven in the back of a VW Beetle. To his credit, Herbert Diess has apologised. 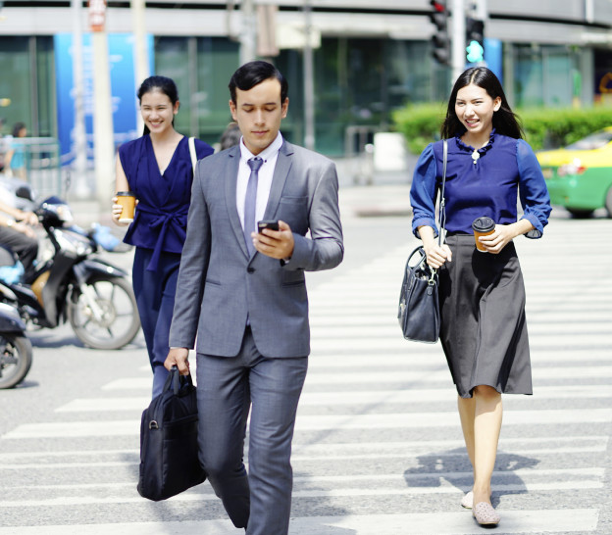 But planning, preparing and practising ahead of time – in a communications-boosting workshop or, at the very least, in a rehearsal involving colleagues – could have spotted and eliminated the problem before it was allowed to start. The gaffe was particularly remarkable and unusual as, to their credit, the overwhelming majority of the post-war generation of Germans – especially those from the western side of the country, but many from the formerly communist eastern side, too – have a strong understanding of the crimes of the Nazis and a heroic determination to do what they can to avoid anything that could lead to their repetition. I found this while based in Germany as a foreign correspondent from 1990 to 1993 – in the immediate aftermath of the fall of the Berlin Wall. It became clear to me, from countless conversations, that the majority of relatively younger Germans feel an endearing burden of responsibility for the atrocities committed by the Nazis – even if they were born after World War Two, which applies to the Volkswagen CEO, Herbert Diess. As he was born in 1958, Herr Diess is among those born well after World War Two and so can in no way be blamed for the Nazi’s massive crimes against humanity. But his mistake, in invoking memories of the worst of the Nazis shows how – even those surrounded by so many enlightened folk – can fall into traps if they don’t run things past others before big communications moments. The BBC’s written coverage of the story is set out here. If you may ever have to speak on behalf of your organisation, it’s worth checking out the story. If there are any skeletons in your company’s closet, don’t fall into Herbert Diess’s trap of making uncalled for references to them when you make your speech!